One of the European members of the Jungletek Mafia, Heatzy is a very multi talented musician and producer. He played actively in bands since the age of 14. His passion is for the drums but he also enjoys playing guitar, piano and the bass. His origins lie in rock and pop music but he then got addicted to various electronic beats and started producing tekno music. 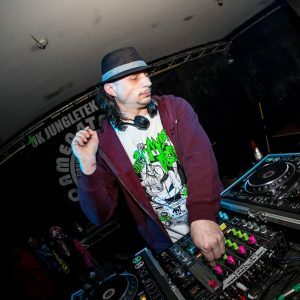 He soon found a home for his music with the legendary WICKEDSQUAD from Vienna alongside SPACEANT, M!X!, and DJ UNICS, releasing some serious Ragga-Jungle-Tek-Stuff on WICKED VINYL 11! Since then he’s been completely addicted to Raggatek!. 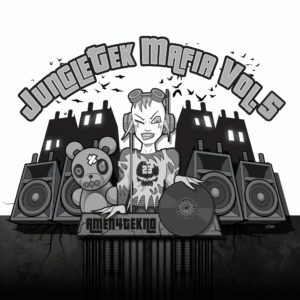 In early 2015 Mandidextrous was shown one of Heatzys tracks by Amen4Tekno crew Slinks, which at the time was unreleased. Both Slinks and Mandi agreed after numerous crazy dances around some speakers. That Heatzy had to join the crew on the journey with his ground breaking Jungletek Vibe track Doing Doing Doing.